The whole world is going mobile and as an increasing number of people are using mobile phones to stay connected to the web, it is becoming imperative for all website owners to have a mobile version for their website unless they do not mind losing targeted audience and customers. But as we know building a mobile version of a traditional website is a different ball of game and probably, you might find it really hard to figure out which is best for the mobile version and which ones are worse. 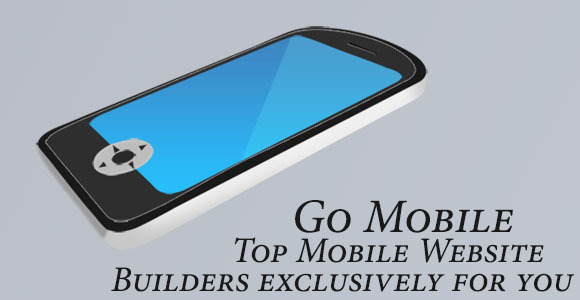 To make your task easier, here we are going to feature a list of awesome mobile website builders that are powerful enough to take away all the hassles along the way. #GinWiz: The wonderful wizard by Infogin, that comprises of a complete suite of tools and services, to build an optimized web browsing experience, adaptable to smartphones, tablets, feature phones, game consoles, e-readers and IPTVs. It is recommended to the small and large businesses, agencies and publishers, to make use of this intelligent tool, to reach out to the billions of mobile phone users today. #Google Sites: Complemented by ‘GoMo’, the site to learn about mobile matters, builds a professional mobile landing page, in a few minutes. It is very quick, needs no coding skills and involves no expenditures. Google Sites started with JotSpot technology that underwent the transitions, and is now available free, separately from Google Apps., and does not need a domain. #MadMaker: Basically an ad-maker by Boost Communications, for Mobile devices. It is an easy to use drag and drop tool, for quick creations. Can be used by a naive at technology. #Zoho: It is a web-based online office suite, that is distributed as ‘Software As a Service’ (SaaS), and is being widely used by millions of mobile users. 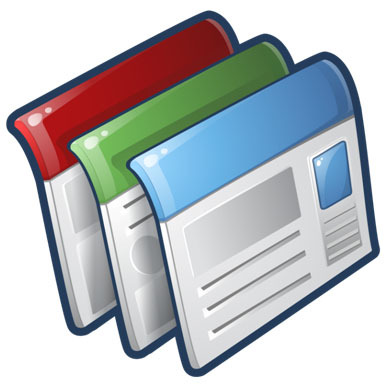 The word processing, databases, note-taking and presentation abilities make it most desirable amongst the businesses. 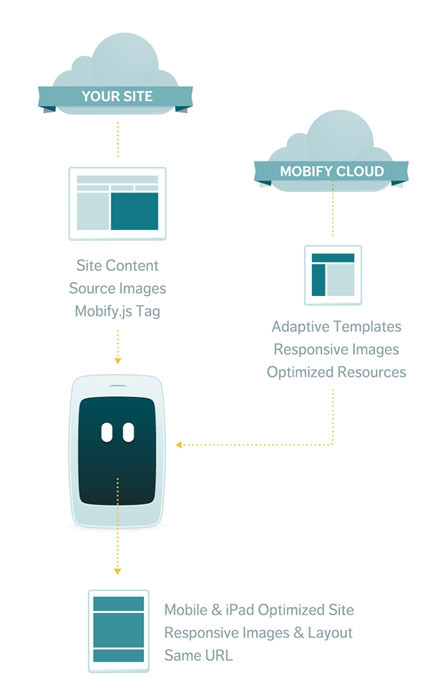 #Mobify Studio: Powered by Mobify platform, it is a web-based creator for building websites, targeting the mobile phones and tablet computers. It has a conversion capability to convert the existing websites and e-commerce website to a version, optimized for mobile phones and tablet computers. At DPB (UK based company that offers Vinyl banner), we have used this tool to create a mobile version of our website and the outcome was impressive. 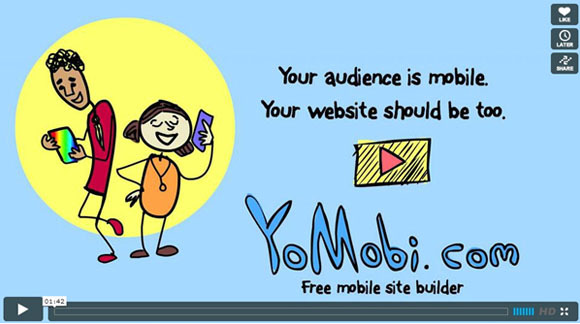 #YoMobi: A free platform to quickly build an interactive, social media ready website for businesses. Its content management feature can be used to easily build a custom website to connect to customers. #WireNode: It is a mobile marketing and publishing platform. It builds an eay-to-use website creator, with the intuitive mobile publishing, QR codes generator and RSS Feeds mobilization. 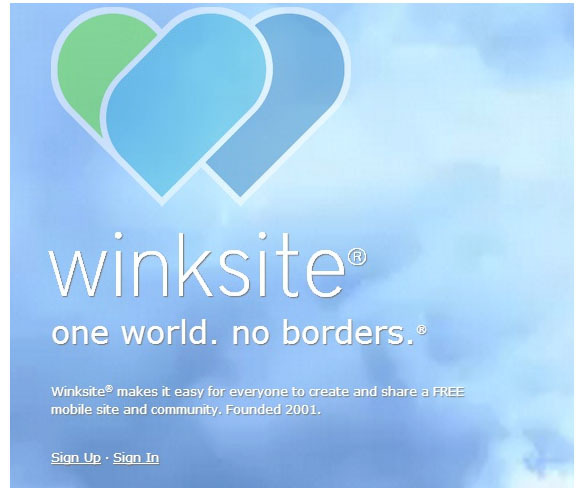 #Winksite: This is a good way to start with the first mobile website. Established in 2001, it is a leading content management company, with social networking software and a mobile publishing system. 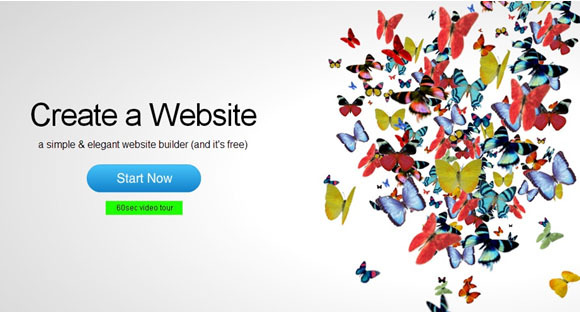 #IM Creator: It is an all time favorite amongst the users, for a simple and fast HTML page creation. 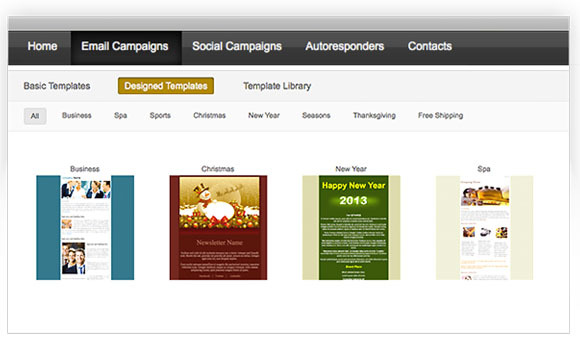 There are some elegant templates to choose from. It is supported on Google and Amazon powered platforms. All are third-party sourced applications. Extremely easy-to-use, with no technical skills required. Proficient enough to build a website, that goes live in a few minutes. Targets the development of businesses by the accessibility. Cost nothing. THESE ARE FREE!! Why wait then? Go ahead, create one Now. Yeah I am well aware of the fact that majority of people have already migrated from basic phones to smartphones, but there are still some people who are using traditional mobiles to get connected to internet. So that means, while designing mobile version for your website, you should not focus entirely on the touch-screen enabled devices. There should be a room for non-touch screen users so that they can browse the website in their ‘Unsmartphones’ without facing any hassle. I know this is tricky, but you have to trade a middle ground here as there is no viable alternative available. Since the screen of mobiles is comparatively smaller compared to desktop, you simply will not have the option to cram up the screen with navigation. Mobile interface will not allow that and even if it does, it will kill all the prospect of your website to exploit of the advantages of having a mobile version. 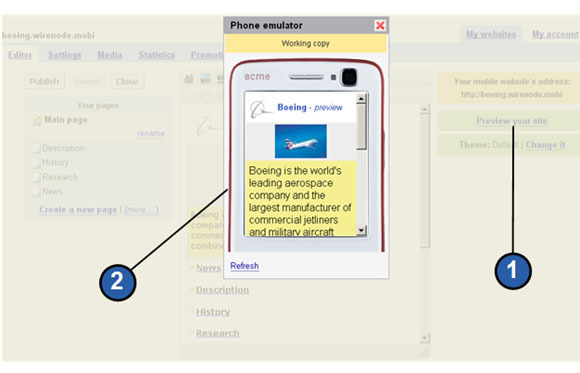 Take it this way, if you add the entire navigation on the home page of the mobile version. It will cover the screen giving little hint to the visitors there are something down there. So, instead of scrolling down, visitors will bounce back. This is definitely not what you want. This problem can be fixed easily by adding navigation elements and a site search option on the home page. In short, I am suggesting you to use Home page of the website as a gateway to the entire website. Or alternatively, you can push down the navigation to the bottom of the pages. This will make sure that the visitors are actually reading the content first and then navigating to other pages of the website. A small trick to keep the readers engaged. The purpose of having a mobile version is to capture more leads, which is quite understandable. But as you know people hate to type when they are browsing on mobile devices. So, if they are to contact you, the number of fields should be kept at minimum. Enable the auto fill option as it will expedite the projects and help you get more leads. An elaborate ‘About Us’ section seriously does not make any sense on a mobile version of a website. People have to different things on their mobile devices and therefore, if you believe that they are going to read the long and boring content that illustrate how you have succeeded in life, you are living in a fool’s paradise. Reduce the amount of texts that serve no other purpose than filling up the pages. Short and succinct content is what going to do best for your website. And more content means, it will increase the loading time which is definitely not desirable. Author Bio: Michael Evans is a passionate blogger and social media analyst. Connect with him at Google Plus.